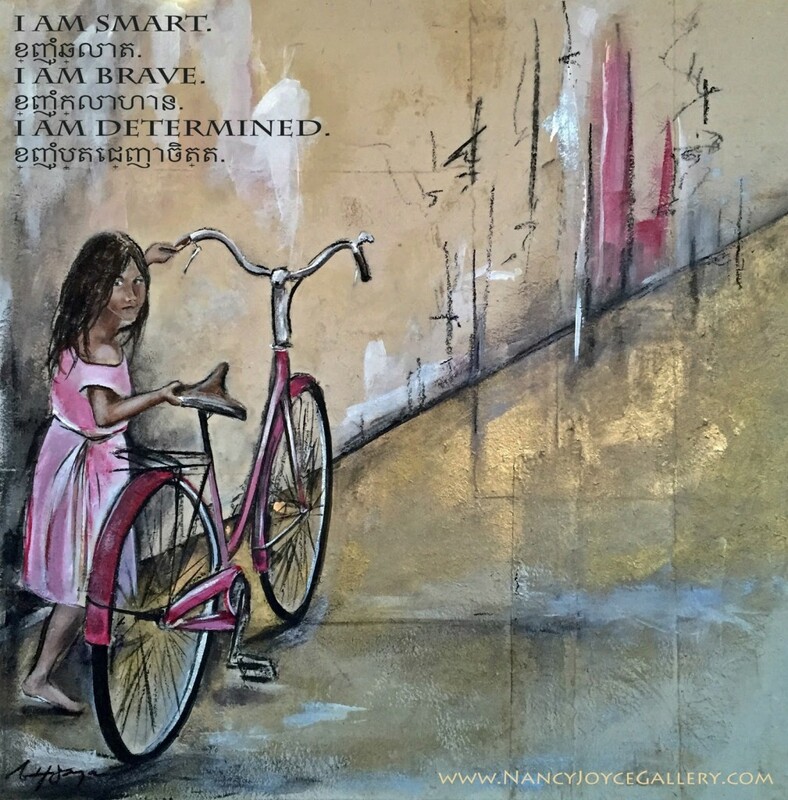 It may seem a bit odd that I’ve chosen to travel over 9,000 miles and halfway across the globe to deliver all-terrain bicycles to young girls in Cambodia when I am very cognizant of the fact that there are plenty of domestic needs right here in America. I’ve chosen to leave my family for two weeks and dive into the world of Southeast Asia because of my fascination and hope for young girls everywhere to feel that they are individually important and can make a positive difference during their lives. It all started with Susan B. Anthony and the inspiration I garnered from one of her quotes I read nearly a year ago in the middle of a late night in August. In 1896, she said, “Let me tell you what I think of bicycling. I think it has done more to emancipate women than anything else in the world. It gives women a feeling of freedom and self-reliance. 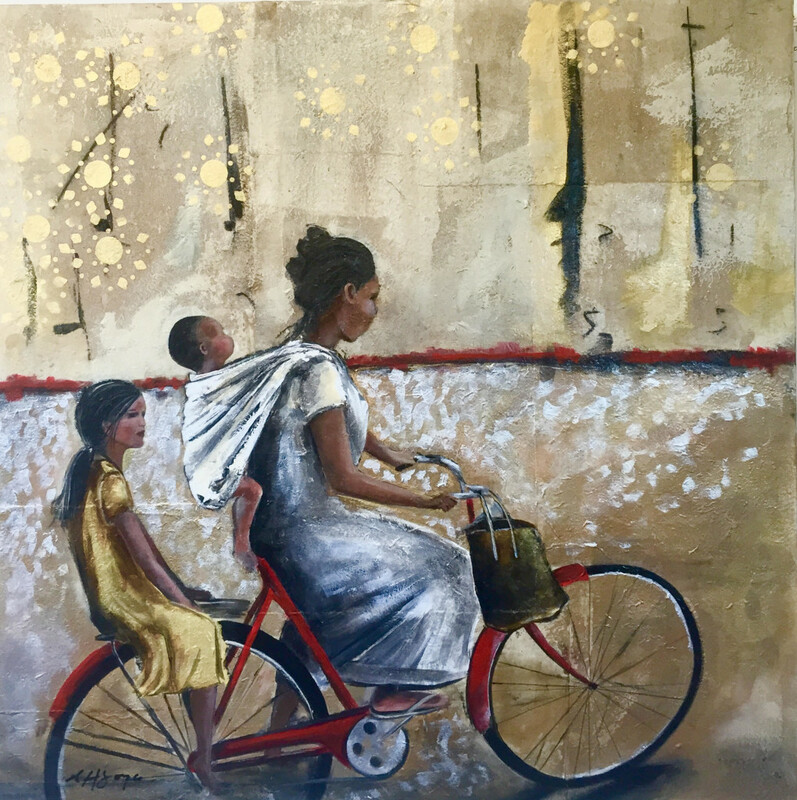 I stand and rejoice every time I see a woman ride by on a wheel… the picture of free, untrammeled womanhood.” It was at that moment in time when I began to really understand that after more than 100 years of development, America was still light years ahead of those in developing third world countries. The rights of women and girls were just beginning to come to a head in first world countries during the late 1800’s but today, over a century later, places like Southeast Asia seem to be going backwards in time as women and children continue to hold no place at all in societal evolution. As a mother of two children, one being an 11-year old girl with indelible impressions of the world, I feel extremely passionate about the confidence and well-being of young girls. It is commonplace in Cambodia for mothers to find themselves in dire situations where children are having to get themselves to school on their own. For a young girl in a small village, walking to school several miles on foot can turn out to be a very dangerous situation. Providing all-terrain bicycles can help them avoid violence and arrive safely at their schools. If more young women can get their education, more of them can find work and begin to slowly break the cycle of female oppression in third world countries. I know cannot change the world but if I can positively affect just a handful of girls by empowering them with the passion and determination to continue their education, then I will feel like my art has made a difference in this world. I want all young girls to know that they can really make a difference in this world. This is my goal; it’s simple. I want to create momentum and positive change through the understanding of my art. This is why I’ve partnered with Lotus Outreach International and Lotus Pedals and this is why the bike symbolizes much more to me than just 2-wheels: A symbol of both freedom and hope. My voyage begins in November after my art opening at the Asheville Art Museum on October 16th. I will travel with my mother and we will fly into Vietnam and then spend time in Siem Reap, Cambodia speaking and meeting with young girls. 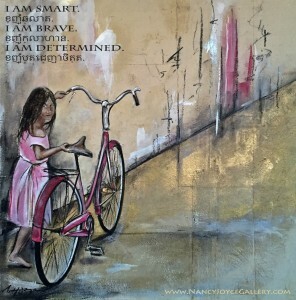 To find out more and to learn how you can personally help to provide bikes to these young girls, you can visit my page www.NancyJoyceGallery.com/Bicyclette.